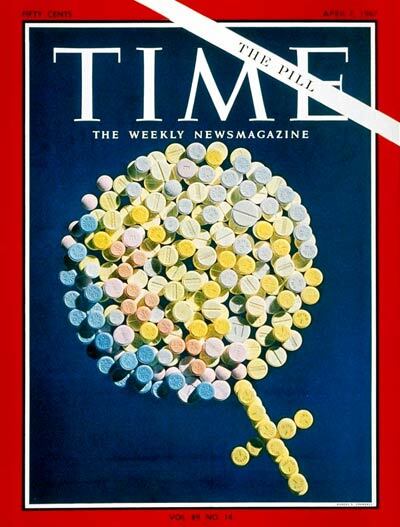 The pill allowed women of childbearing age at least some control over their reproductive life, and it provided women the opportunity to seek fulfilling careers by delaying childbirth to a time of their own choosing. But with widespread use came widespread debate. Proponents of the pill felt empowered and to them, the tablet equaled freedom. Opponents preaching chastity, especially those with religious affiliations, feared an increase in promiscuity and broken relationships. Despite the arguments, it was obvious that the pill split sexuality and reproduction forever. This past week, UNC researchers released early data showing the promising effects of using ultrasound as a male contraceptive. The initial study, performed on rats, is a promising first look at how ultrasound waves can successfully and reversibly remove sperm from human male testes. James Tsuruta, PhD, assistant professor at UNC’s Laboratories for Reproductive Biology and Paul Dayton, PhD, associate professor and director of graduate studies in the Department of Biomedical Engineering, led the study. The Bill & Melinda Gates Foundation donated $100,000 to the research study. Of course, most people know ultrasound machines are used for fetal imaging. It’s a complex process, but the general concept is simple. Ultrasound waves are produced essentially like SONAR on a submarine. Imagine yourself in a deep canyon. You call out, “Hello, there!” Your sound bounces off the canyon walls and returns, “Hello, there!” as an echo. Ultrasound works the same way. If the research is finally approved by the FDA, doctors would use an ultrasound probe, or “wand”, moving the probe over the body part, in this case, a man’s testicles, to create an effect entirely different than medical imaging. The procedure would most likely be painless to the patient; however, because sound waves move poorly through air, a special lubricant (even K-Y jelly) may need to be applied to the body part to allow speedy and effective travel of the waves. At this early stage, I have no idea if this will be necessary because it sounds like the procedure is therapeutic in nature. Inside the scrotum, testes house numerous tubes called seminiferous tubules. These in turn, contain immature germ cells responsible for producing sperm. 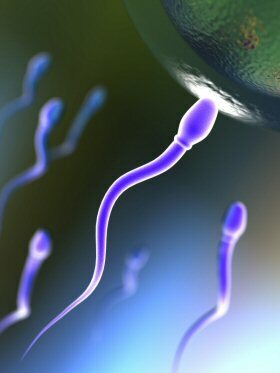 By utilizing ultrasound waves, scientists were able to remove the immature germ cells, thereby eliminating the sperm. Most interestingly, they were able to render the male infertile for up to six months! After such a time span, the tubules will receive new germ cells producing large amounts of sperm. And, unlike the oral contraceptive, the ultrasound contraception is non-hormonal and as of right now, harmless. In fact, most research shows ultrasound waves are inherently harmless as a tool for physiological imaging. At the hospital that I work in, it’s generally accepted that ultrasound scans won’t harm patients. But given the widespread opportunities that this study could create and the relatively unknown territory that scientists now find themselves in, further testing is warranted. But this new research begs the question: Could we be seeing the beginning of a male sexual revolution? Representatives from the Bill & Melinda Gates Foundation made it clear that they hope the use of ultrasound as male contraception can be used in the first and, more perhaps more importantly, the developing world. The implications for the use of this discovery are widespread and could be tantamount to the empowerment of the pill to developing countries looking to keep the dangerous economic effects of overpopulation in check. The use of contraceptives remains uncommon in many developing countries and men in particular would need to be well educated about the benefits of the technology for it to catch on. To recap, it appears that an ultrasound contraceptive could provide men in first and developing countries with an easy (receiving an ultrasound requires little preparation and would be like a routine checkup), effective “out” over a period of six months that is, at this point, harmless. These routine ultrasound scans, if obtained at the office of a general practitioner, could also provide men a good excuse to receive full-body checkups, increasing the chance of detecting early signs of disease, including prostate cancer. 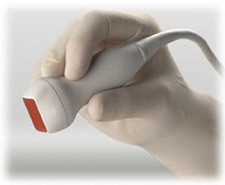 Ultrasound machines are also relatively inexpensive, especially if they are refurbished. This should be useful in providing the therapy to developing countries, often the recipients of second-hand imaging and medical equipment. And the list goes on. But what are the negative social and cultural effects that could follow the use of this discovery? Could they be similar to the ones that followed the approval of the pill? Would men around the world become more promiscuous, and are men in need of a sexual revolution in the first place? And despite the ease of receiving these sterility treatments, could men be relied upon to obtain the treatments on time? Questioning a few of my female co-workers, the consensus is that they wouldn’t stop taking the pill out of mistrust of their male partners to remember to get the treatment. My name is Chandos Culleen and I am junior here at UNC-Chapel Hill. As an American Indian Studies student, as well as a student of history and journalism, I hope to bring to your attention every week a important contemporary issue regarding American Indian history, rights or culture in the Chapel Hill area, nationally and internationally. This week, this blog will focus on an international topic that also presents interesting domestic implications. On April 19 at the ninth session of the United Nations Permanent Forum on Indigenous Issues, the country of New Zealand announced that it now endorsed the U.N. Declaration on the Rights of Indigenous Peoples. When the Declaration was first passed on September 13, 2007, 144 states voted in favor, 11 abstained and only four voted against. Those four nations were Australia, Canada, New Zealand and the U.S., countries with significant indigenous populations and similar histories of being former colonies of Great Britain. However, since that time, Australia has reversed its position and now endorses the Declaration, according to the U.N. Permanent Forum on Indigenous Issues’ website. Further, according to this Indian Country Today report, Canada has promised qualified recognition of the Declaration. With the recent reversals of Australia and New Zealand to give the Declaration full recognition and Canada’s promise of qualified recognition, the U.S. remains the sole negative vote from the original vote to still have not reversed its position. According to the Forum’s website, “the Declaration is the most comprehensive statement of the rights of indigenous peoples ever developed, giving prominence to collective rights to a degree unprecedented in international human rights law. At a time when other countries around the globe are moving to recognize the Declaration and the inherent rights of their Indigenous citizens, it is important that the U.S. does the same. By recognizing the Declaration, the U.S. would send a clear message to its citizens, Indigenous and non-Indigenous alike, that it respects the rights of Indigenous peoples and its obligations to them. While some may argue that signing an international agreement such as the Declaration would change U.S. laws and make the U.S. subservient to an international body, this is not true. In a recent report by Te Karere Maori News in New Zealand, the government of New Zealand announced that affirming the Declaration will not affect their laws or government in any way. Whether this is a good thing or whether affirming the Declaration will bring noticeable change to how governments deal with Indigenous populations is clearly a matter of debate. However, affirming the Declaration is an important statement; the affirming nation acknowledges the rights of Indigenous peoples and their right to preserve their way of life. For these reasons alone the U.S. should strongly consider its now solo stand against the UN Declaration on the Rights of Indigenous Peoples.